· Frame constructions have been rigorously tested .. Neatly tailored box cushions and crisp, track arms beautifully enhance the aesthetic, while a..
Talk about fine lines and great curves. 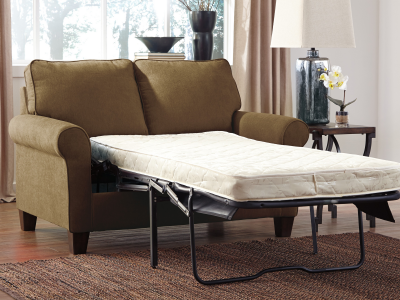 That’s the beauty of the Nancy full sofa sleeper.. The word “plain” is not in the Nokomis 2-piece sectional’s sleeper vocabulary. Low back seating and.. 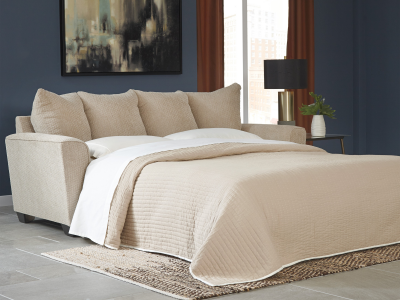 Inspired by high-end menswear, the Rossy full sofa sleeper is tailored to perfection and dresse..
Upholstered in a clean chenille fabric, we love its comfortable style. The foam cushions are ..
With the plush pillow back and supportive seating cushions all surrounded in a soft upholstery fab..
With clean and simple lines, the Zed sofa is at home with many different styles of decor. The comfo..